Hello, As you can see I’ve decided to start my blog from scratch again. Hoping to at least make one post a week, updating you and others on what I am doing at the time with 3D art and technical stuff. 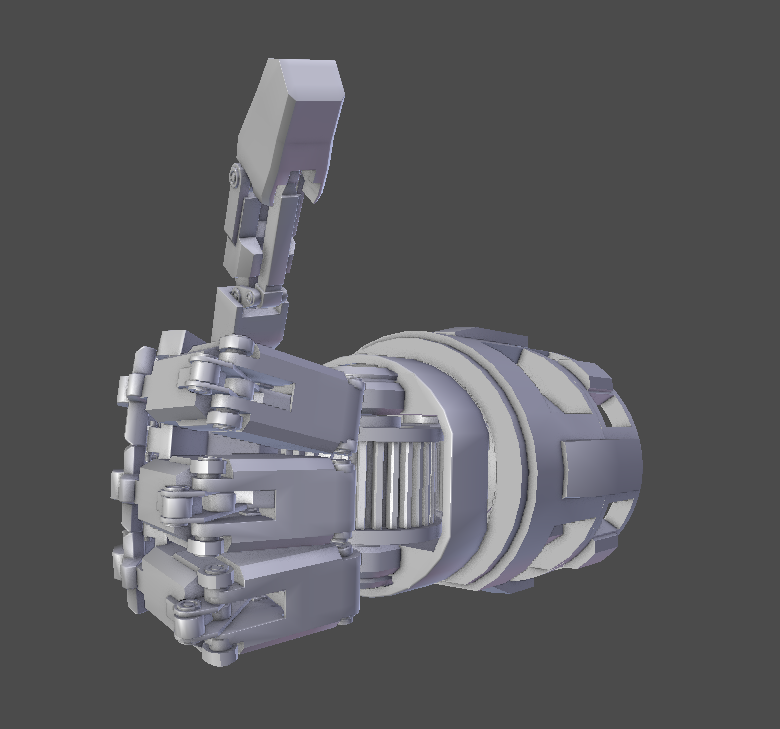 Above you can find a model of a robotic hand I did earlier this year. I put time into working out the mechanics behind how it moves and making sure that it was mechanically sound. Meaning that if you were to 3D print it, with little modification it should theoretically work. You can see it in action by clicking HERE! So I hope that I remember to make a post more regularly than I did before. I’ve been busy with university. Starting a Masters course in Games Development, So I may talk about that. Or I may talk about my monsters fruit and vegetables.